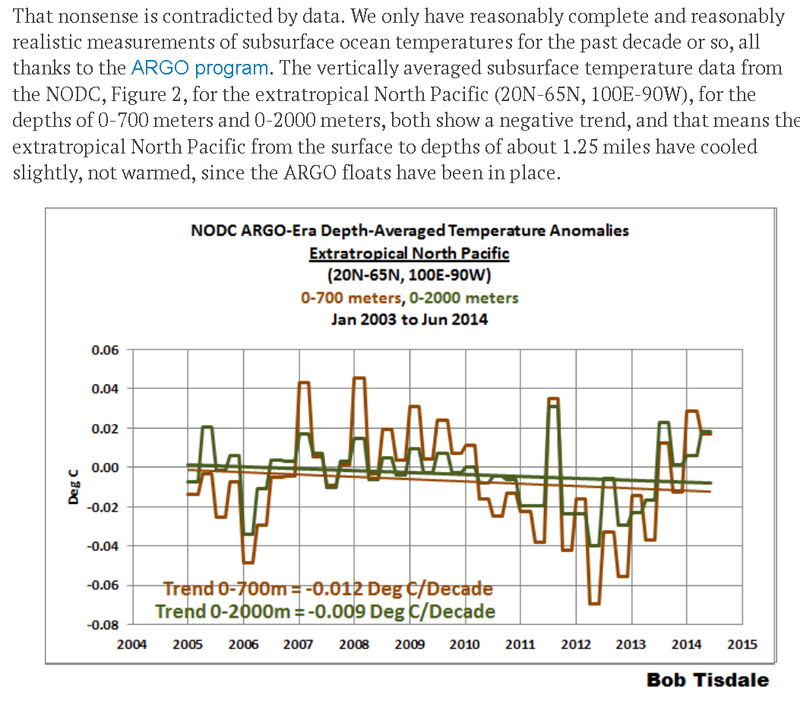 Is CO2 and Ocean Acidification also part of the pHraud (Fraud) on Global Warming? I got this email from “Anna” today, and wanted to add it into my prior article from 2015. I got going on Global Warming a while back, after analyzing the real data. 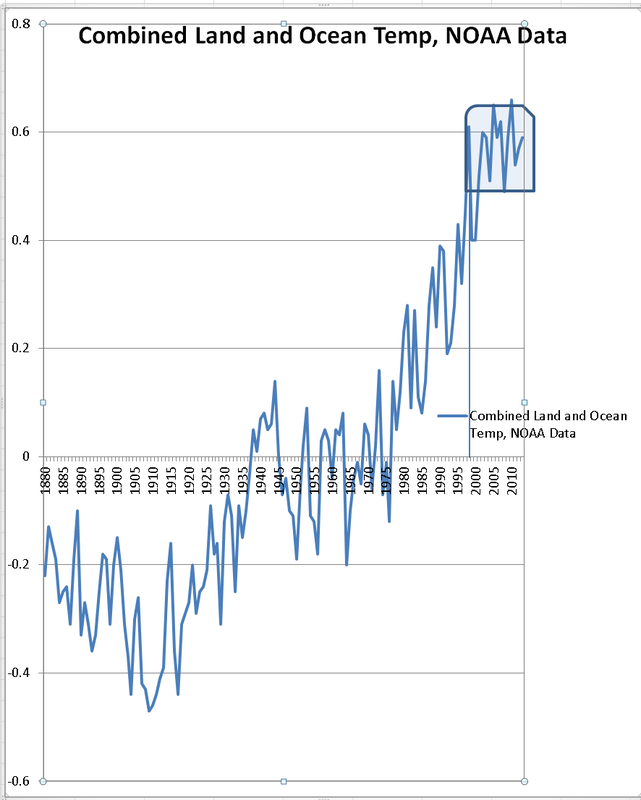 Bottom line, Global warming has paused for 18 years. 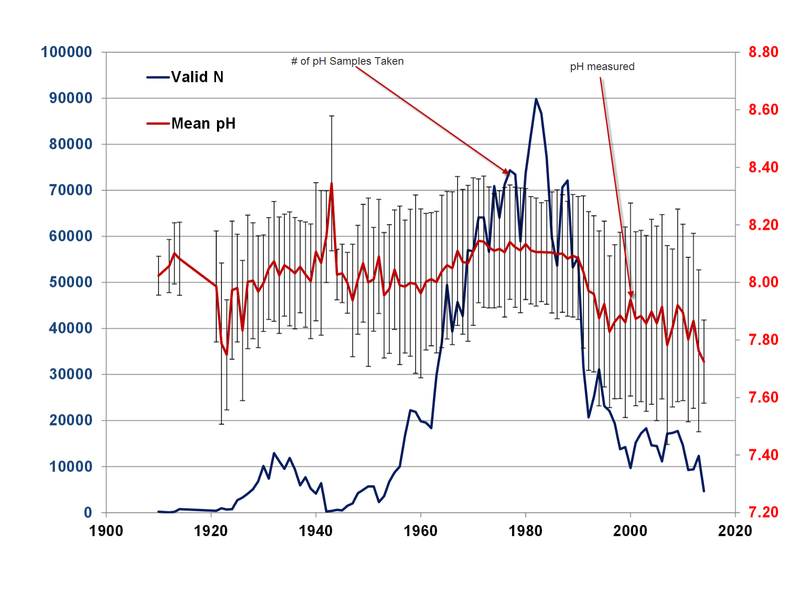 Then the climate alarmists indicate that the heat is just going into all the place that we haven’t been measuring. Ocean surface temperatures are pretty well know from satelitte, and Ocean temps at depth are pretty well known by floating buoys, although the coverage in geographical area is not that great. 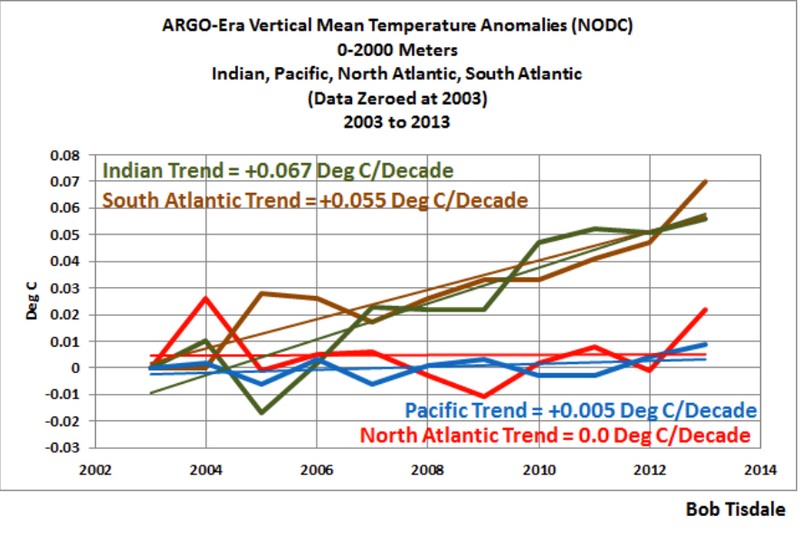 Here is original stuff by Nukepro….chart of combined ocean temperatures and land temperatures, using exact NOAA data. Hmmmm…..looks like that temperature has stalled out also. Finally, some of the “science” on other key legs that CO2 and climate change stand on, i.e. ocean pH aka Ocean Acidification seem to be ignoring huge volumes of data and focus only on recent and limited measurements. Some of this looks like intentional fraud, just like the climate gate admissions. The rabbit hole runs deep, and we can’t draw conclusions yet. I have obtained a 2.5 million line of pH data from NOAA, the file is 95MB, I tried to share it through BOX but the upload failed, I may try again. My Excel program chokes at about 1,060,000 lines, so I had to develop some new technology to handle the data and plot it. That is where I am at now. Some of you other citizen scientists may want to follow in my footsteps and verify my findings whatever they might be. I will post data and programs. I am using a new program called “R” and an addon GUI enhancement to R. Looks like this learning curve will be like learning a computer language in a lite way. But no time now, need to finish the week, got a ton of solar work I have to get designs and paperwork done on. Also marketing for solar maintenance which keeps systems in top shape. 13 years ago when I started my own design/build company, I found that 90% of existing systems had some big problem that had developed and was hindering performance. These are systems that hadn’t been looked at by anyone for 5 years or a decade. Kind of like running a car for 10 years and expecting to never have to do preventive maintenance, or a repair. Just not realistic. People are wising up, and even the local utility is sending out 100,000 reminders for people to service their equipment. That is making a huge difference in system performance, which helps everyone. 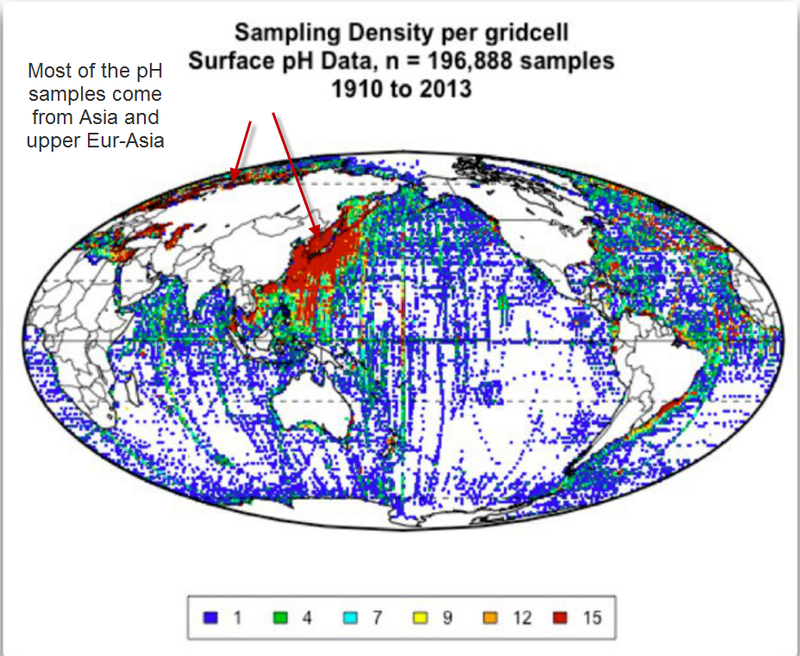 Most of the pH data was taken around Japan and China areas, that could really skew the data if there was something “funny” going on over there. You can see the rabbit hole runs deep. Yes. stock. Wikipedia has some info on that. Onto got me thinking about the methane gas cloud over New Mexico, and Texas, too, I’ve read. It covers a 2500 sq. mi. area. Yes. That is to say, Methane may be playing a bigger role than previously thought. Since Methane is a by-product of oil production, in that all over the world, as in New Mexico and Texas, the gas is released at the well head into the atmosphere as the oil is pumped into tanks. This is why in oil producing areas the smell of gas is always in the air. This problem has been going on for a very long time, it appears to be an important consideration, and is yet to be addressed.